Imagine my shock — shock! 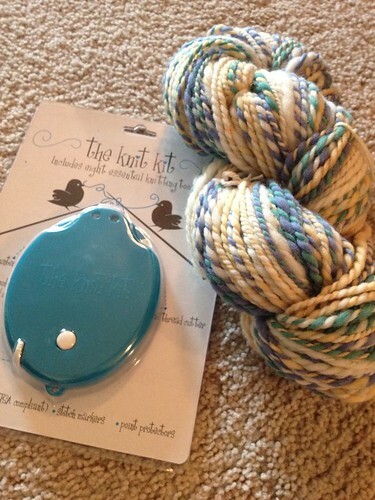 — to realize that Renee had gifted this yarn to me for Christmas 2011. I was thinking it was just a couple of years ago! I’ve been thinking about what to do with it for so long, I guess. So I finally took action. 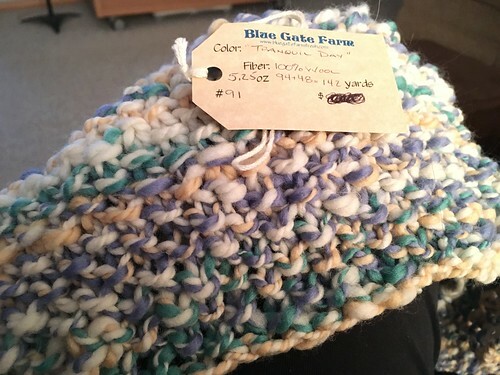 Blue Gate Farm is local to Des Moines, where Renee found the yarn. I’ll be honest: this is not the sort of yarn that I would typically buy for myself, though it’s very pretty and unique. That’s probably why I had such a tough time figuring out how to use it. 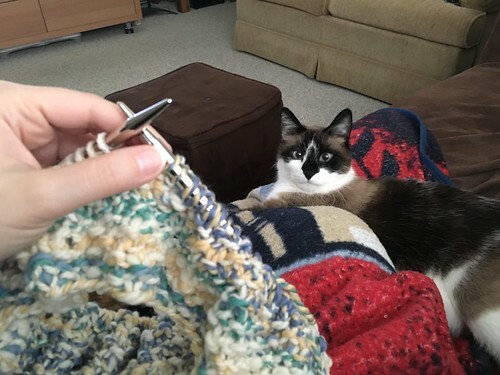 What sort of project would need less than 140 yards of yarn and would properly show off the color variegation and the texture? I finally bit the bullet and decided to try out a very simple pattern with a bit of a larger needle. It works, but since I took the first photo of my wearing it, it’s stretched out quite a bit. 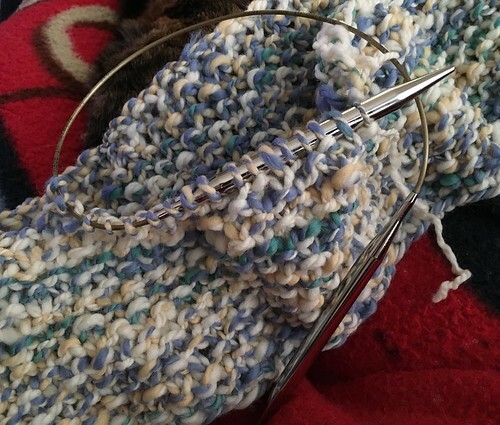 I’m honestly thinking of re-doing it with fewer cast on stitches. 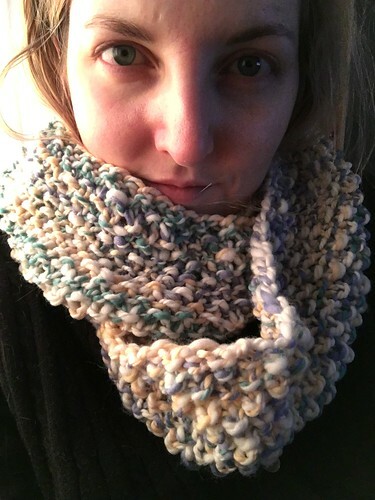 I would like to be able to wrap it twice and have it be cozy but not too tight — I would also like it to be a little taller than it is. But for now: it’s knit and done. 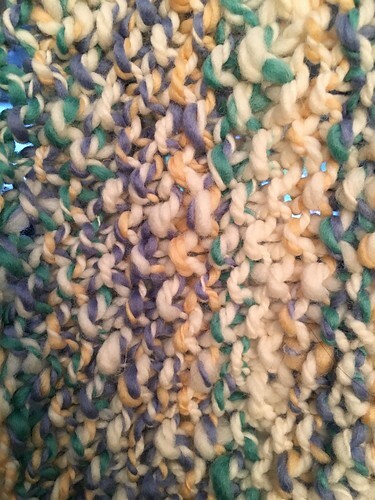 Since completing it, though, I’ve added some blank white roving to my stash and it matches this yarn very well — which may offer other potential uses for this yarn if I decide to repurpose it in the future!